The first Lauri product, Fit-a-Space, was created in 1961 in Haverhill, Massachusetts by a retired school teacher. She knew she wanted to develop an innovative teaching aid that would also be fun, but the challenge was how. The solution was right under her nose. More accurately, it was right under her feet! She and her husband owned a small shoe shop, and they discovered they could die-cut the Crepe Rubber used for slipper soles to make a small puzzle. Fit-a-Space was a huge success, and it was the genesis of a new toy company, Lauri Enterprises (as it was known in the early days). In 1968 the company moved to Avon, a small community nestled in the western foothills of Maine. An abandoned gas station converted into a factory served as the first Maine manufacturing facility for Lauri. During the next seven years, Lauri manufactured products primarily for schools. 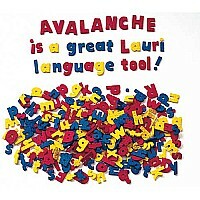 Teachers were delighted with the revolutionary new Lauri teaching aids (often called manipulatives in their profession). 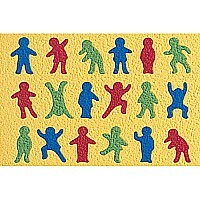 In 1970 Lauri developed the first Crepe Rubber picture puzzles. Teachers loved the 'logical piece' concept; each one a single, solid color representing a specific shape. These puzzles became classics, first winning national recognition in 1977, and still earning awards in 2000.